The county has teamed up with its local state Agricultural Extension Office to loan traps to landowers through their feral hog abatement program. The Jaeger traps are big, sturdy and have a smartphone app that allows the user to remotely drop the gate to trap the pigs. After putting out bait in the trap and then letting the hogs get accustomed to it, users can trap more in the sounder at one time. Trapping them too early and getting only a few can make the others flee and not return or take longer to return, if they do. 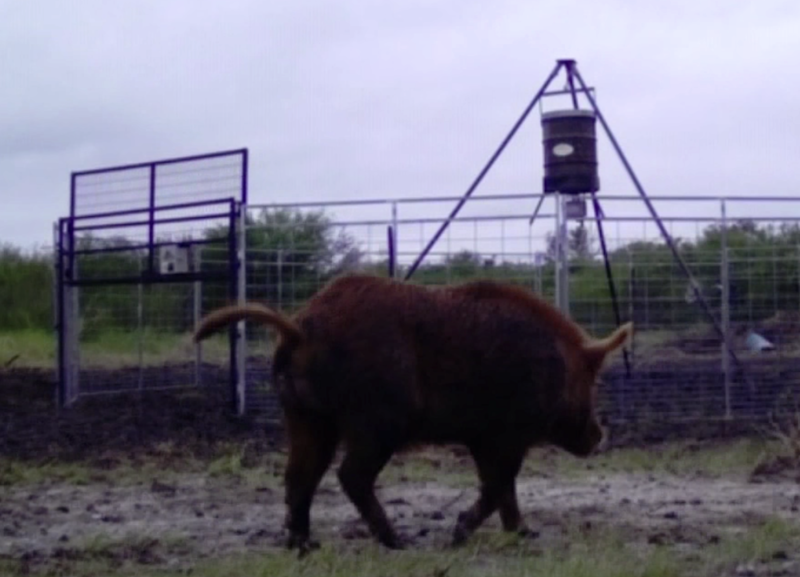 Weldon Riebschleager, a ranch owner in Nueces County, knows firsthand the problems feral hogs can cause.